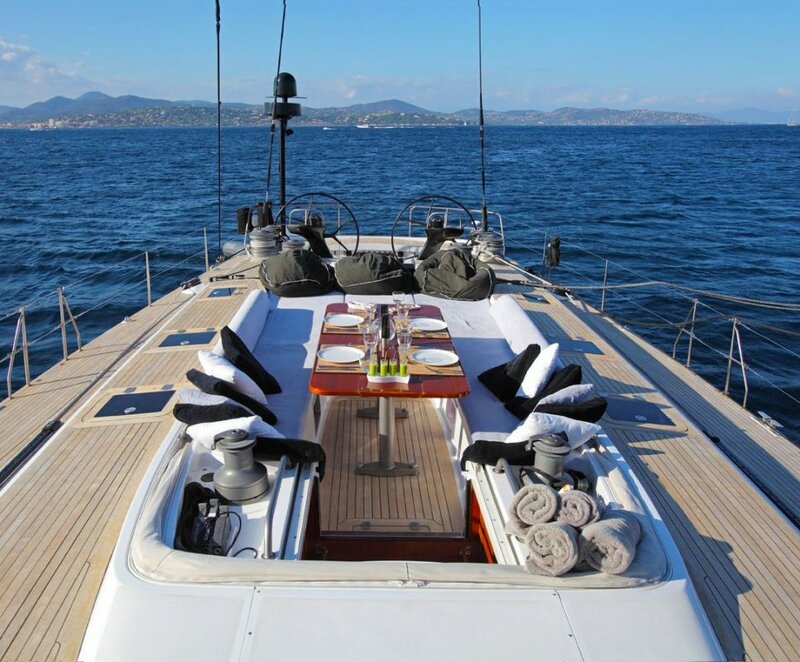 Built to combine the ultimate in performance, this Reichel/Pugh-designed Baltic 78' offers a high tech package, built for speed. 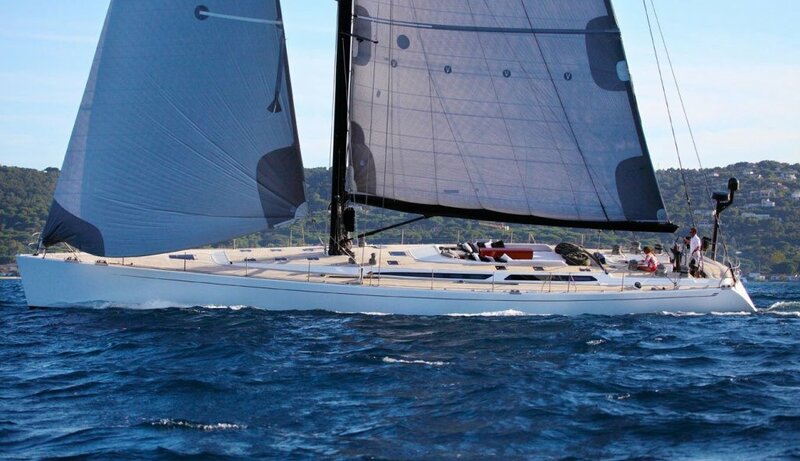 Made of advanced high technology materials and methods in order to reduce weight and performance, Lupa of London boasts a canting keel to improve sailing. 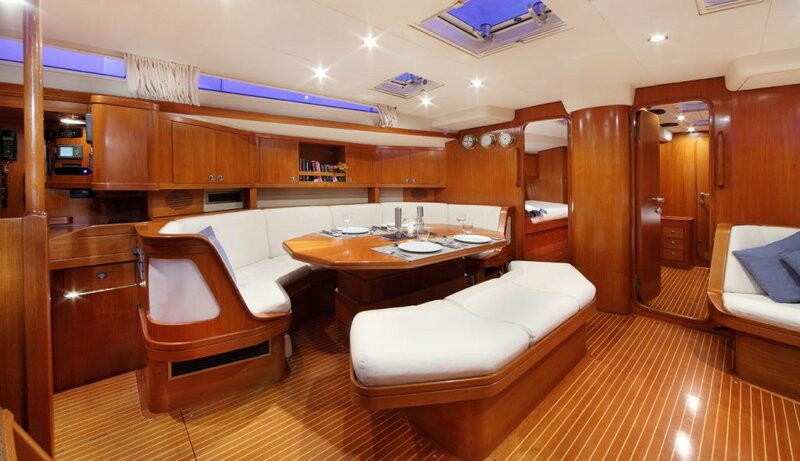 Her flush deck and sleek lines will excite the most moderate of sailor, yet performance will excite the most qualified. Bulkheads and interior panels made out of Pre-Preg Carbon laminates on Nomex honeycomb, visible surfaces covered with thin Teak veneer. 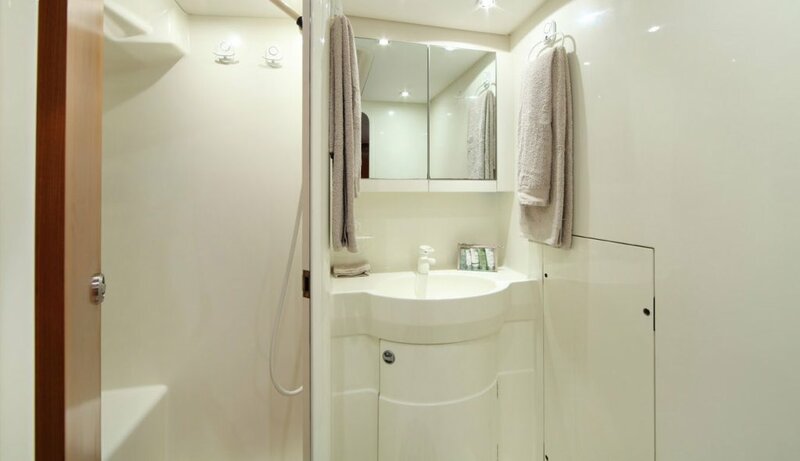 Master cabin midships with king size walk around double berth, vanity table and storage aplenty. Owners bathroom ensuite. 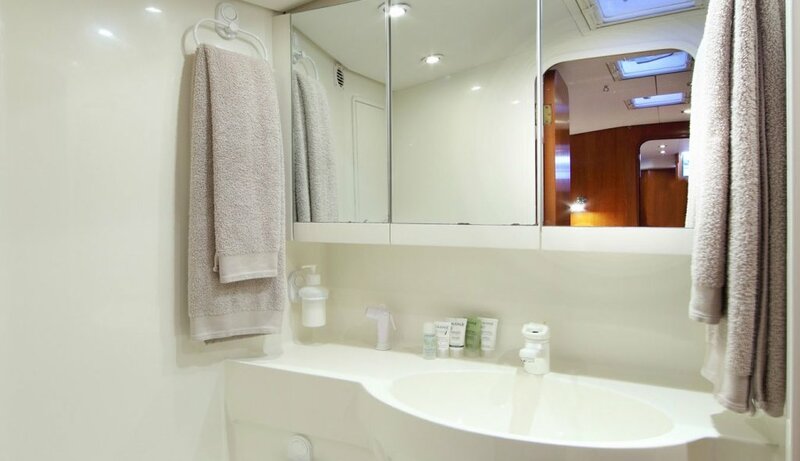 Port side double cabin & starboard side double cabin (forward of the saloon and symmetrical cabins) - both with ensuite bathrooms. 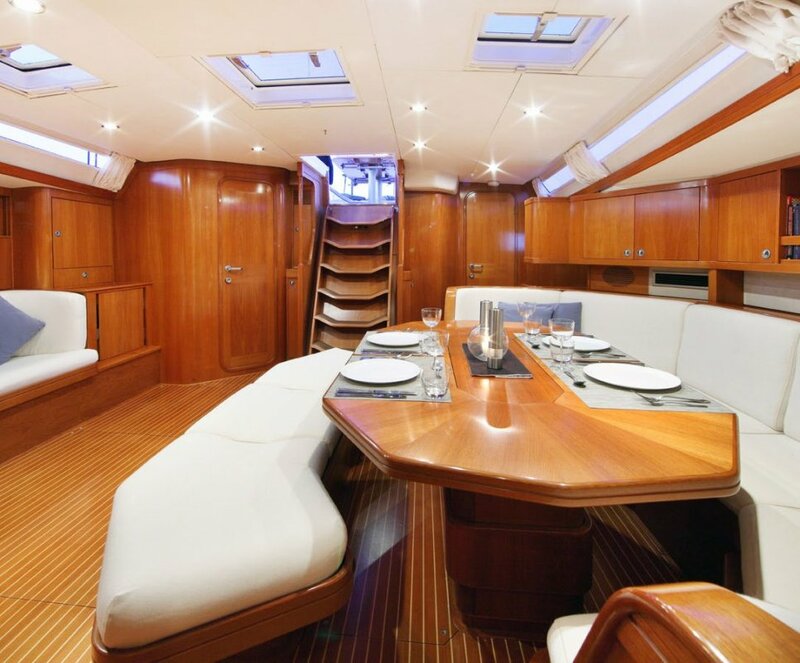 Large saloon with U-shaped sofa and dining area (carbon dining table finished in wood veneer) to port is a large sofa starboard side. 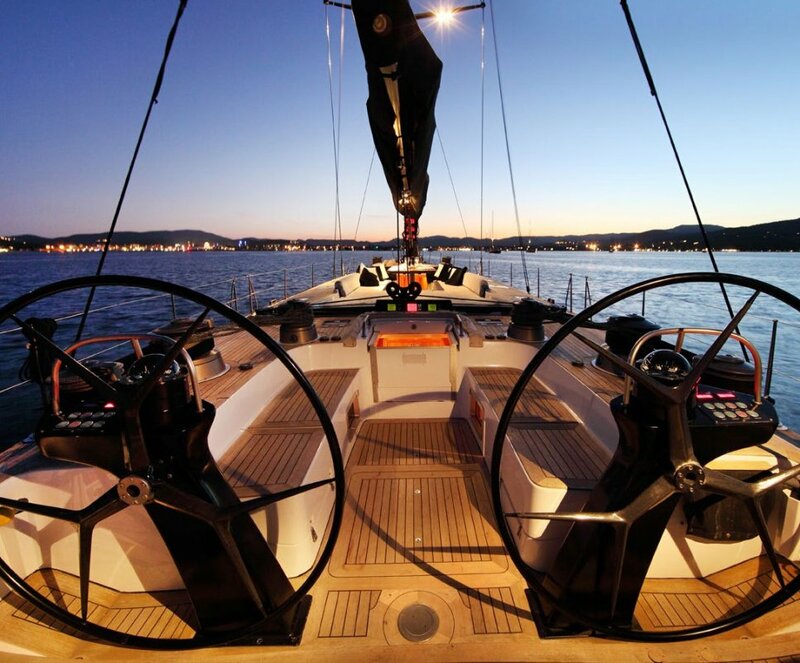 which is in the cockpit adjacent to the helm. 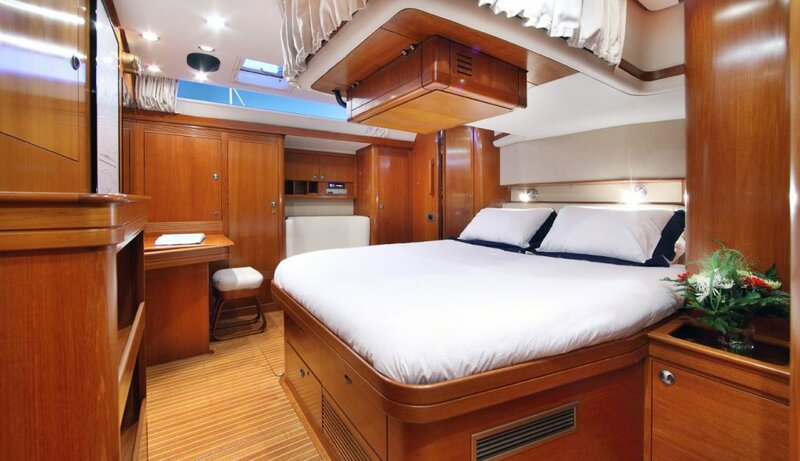 This cabin makes for an ideal guest cabin but also provides ideal sea berths whilst offshore/racing. Includes ensuite bathroom and shower. 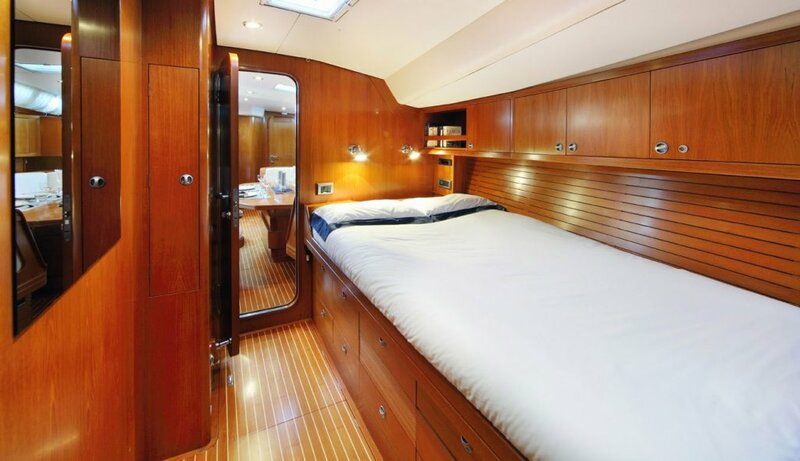 Twin berth crew cabin - forward V berth cabin with dedicated bathroom & large hatch above. All cabins (incl crew) have air conditioning fitted. 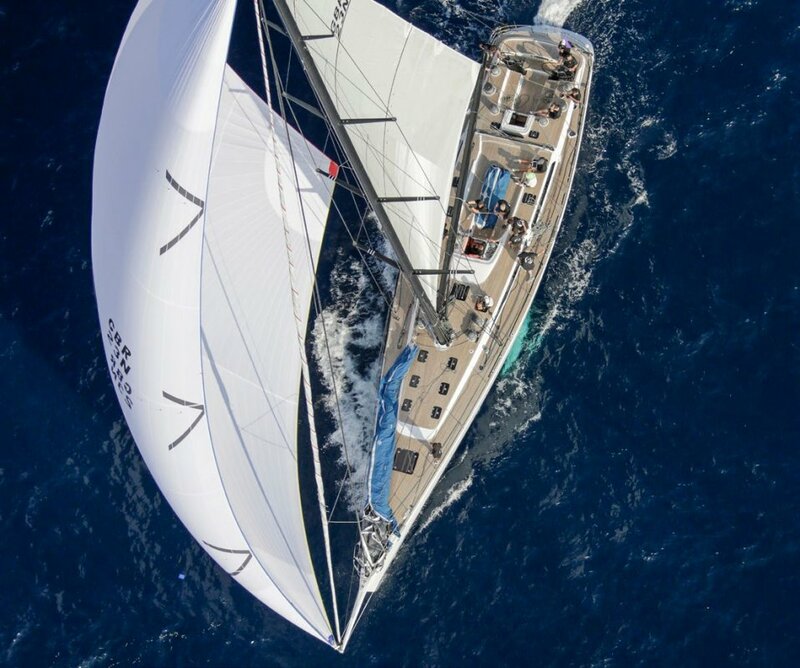 Lupa of London has an extensive sail inventory (upwind & various A sails, Code O’s etc - some 20 sails in total) - all of which were made by North Sails New Zealand. 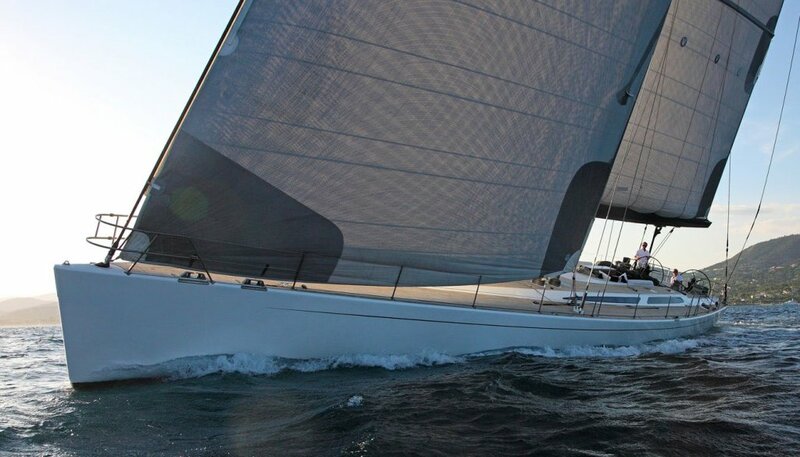 Headsails & Mainsails are Norths 3Di 780. All are regularly serviced and are in good condition. A full sail inventory is available by request. 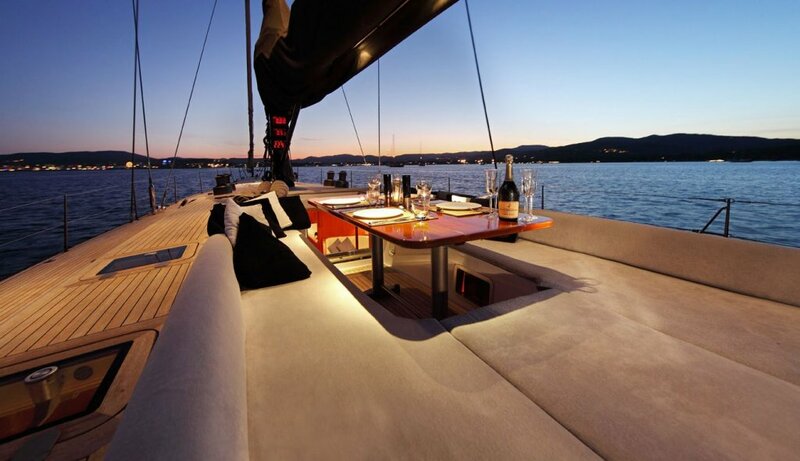 • NDT and visual inspection of mast and rigging. 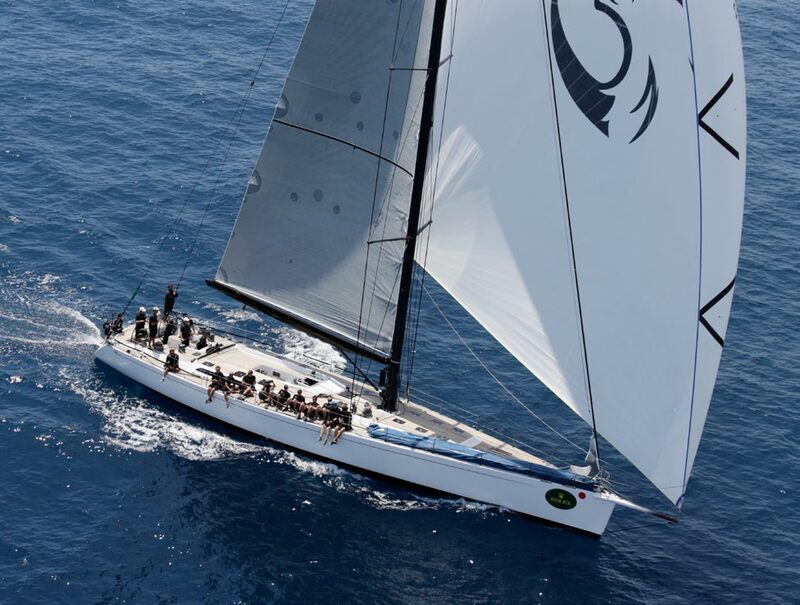 sail are furled by in-boom Bamar hydraulic furlers. Lightweight Titanium Pulpit, Pushpit, Stanchions and various fittings.